The second UW Sustainability Summit will highlight the Leadership in Energy and Environmental Design (LEED) certified buildings on campus. This even will kick off with a panel of speakers discussing the successes and challenges of building "green" at 7200 ft, and presentations from the architects of UW's five LEED-certified buildings. Following the speakers, participants will tour the Visual Arts Building, Bim Kendall House, Berry Biodiversity Conservation Center, and College of Business and enjoy a four-course dinner of locally-sourced foods. 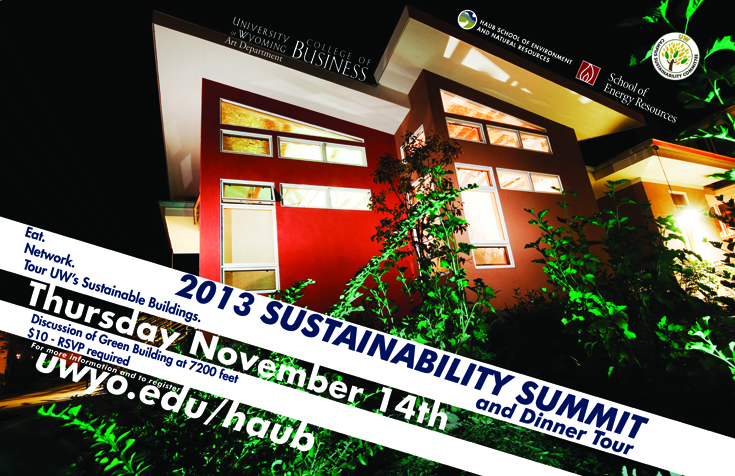 Architects and UW representatives will be on hand to explain the sustainable design features of each building.